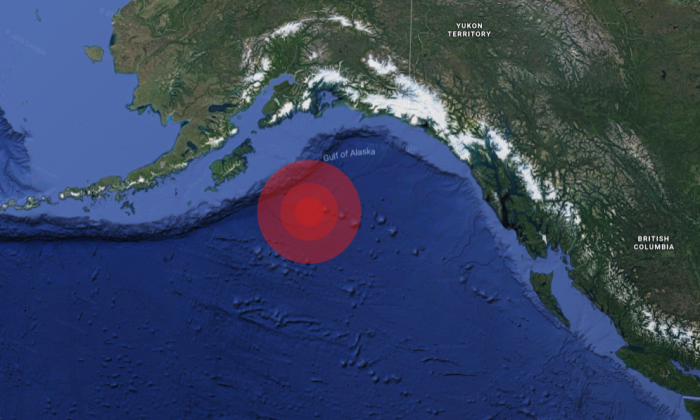 An earthquake of magnitude 8.2 hit 256 km (157 miles) southeast of Chiniak, Alaska at a depth of 10 km at 9:31 GMT on Tuesday, according to the U.S. Geological Survey. 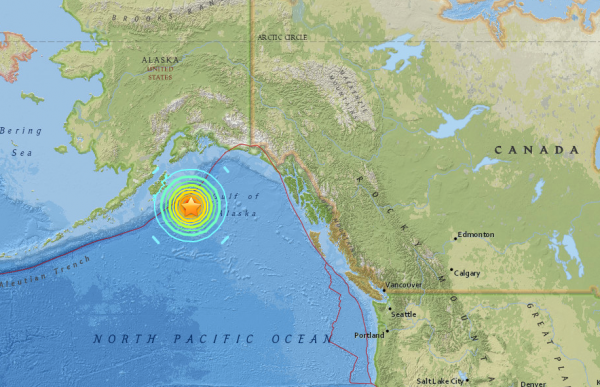 The quake sparked a tsunami warning for parts of Alaska, Canada, and a tsunami watch for the entire U.S. west coast, the U.S. Tsunami Warning System said. “If you are located in this coastal area, move inland to higher ground. Tsunami warnings mean that a tsunami with significant inundation is possible or is already occurring,” the Anchorage Office of Emergency Management said in a warning for Alaska and British Columbia, the Globe and Mail reported. “Based on all available data … hazardous tsunami waves are forecast for some coasts,” a tsunami threat message issued at 10:17 UTC on Tuesday, Jan. 23 stated. “The forecast based on the earthquake mechanism shows no threat for areas of the Pacific covered by this product. We are waiting for sea level data to confirm this forecast,” the warning continues. The warning states that forecasts have not yet been calculated for other areas affected by the earthquake, but will be made available to the public once they’ve been computed. Individuals located in threatened coastal areas should stay alert for information and follow instructions from national and local authorities. The Tsunami Warning System says that a tsunami is a series of waves, not a single occurrence, and the threat may continue for some time after the initial wave hits. “The time between wave crests can vary from 5 minutes to an hour and the hazard may persist for many hours or longer after the initial wave. “Impacts can vary significantly from one section of coast to the next due to local bathymetry and the shape and elevation of the shoreline. The system strongly cautions that anyone caught in the water of a tsunami may drown, or be crushed by debris in the water or be swept out to sea.